Tea is an appropriate beverage for nearly any event. It can be brewed and served hot or cold, with food or by itself and it can be enhanced with a variety of ingredients by each guest according to personal taste. 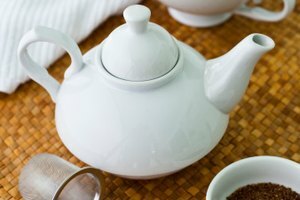 While a regular serving of tea is 3/4 of a cup, it can be daunting to contemplate brewing tea for a crowd. You'll need to match the amount of loose or bagged tea and water, then allow the leaves to steep until the tea reaches the desired strength. Warm a teapot big enough to hold 1 qt. of water to the correct temperature for the tea you are brewing. Read the brewing instructions on the back of the package for specific details, as each tea must be heated to a different temperature for maximum enjoyment. Add 3/4 cup of loose tea or 36 bags of tea to the water, stir and allow the tea to steep for 5 minutes. Strain loose tea through a fine mesh sieve into another teapot or container, or remove the teabags and discard. Pour 2 or 2 1/2 tbsp. 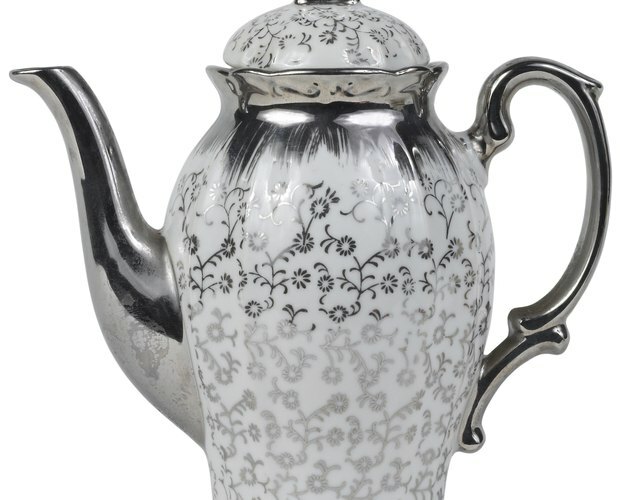 of the brewed tea and 3/4 or 1 cup of hot or cold water into a teacup or glass for hot or iced tea, respectively. 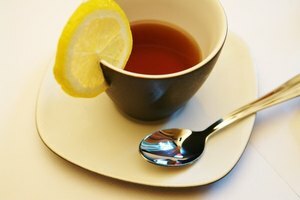 Determine how many 3/4-cup servings of hot tea or 1-cup servings of iced tea you will need. Multiply the number of servings you will need by 0.75 or 1 for hot or iced tea, respectively. This is how much water you will need to brew for the required amount of tea. Multiply the number of servings by 1 to arrive at the number of teabags, or by 0.5 to determine the number of cups of loose tea necessary for hot tea. Multiply the number of servings necessary by 1.25 to arrive at the number of teabags needed for each serving of iced tea. Fill a large pot with the correct amount of water and heat it to the correct temperature for the type of tea you are brewing. Remove the pot of water from the burner and add the teabags or loose tea. Steep according to package directions. Each tea requires a different amount of time for steeping. Strain loose tea through a fine mesh sieve, then pour the tea into pots or a large hot beverage dispenser.